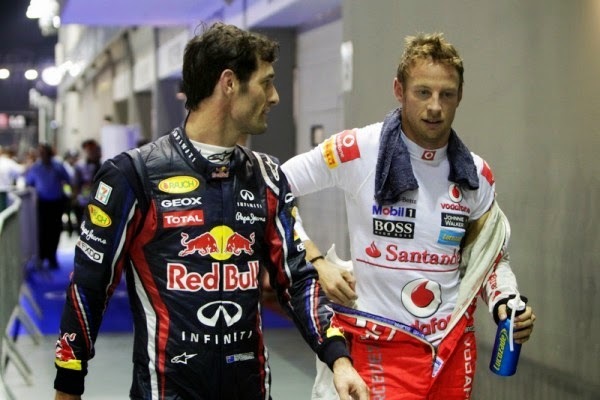 Speedmonkey: Has Jenson Button Already Signed To Race For Audi At Le Mans/WEC? Has Jenson Button Already Signed To Race For Audi At Le Mans/WEC? Put two and two together and Jenson has been told he's leaving McLaren, and Audi have signed him. In order for the focus to be on Kristensen in Brazil Audi has requested Jenson and McLaren that they delay the announcement until Monday 1st December. McLaren know this will filter out so are flogging Jenson teamwear cheap in order to get a load of it sold before nobody wants it anymore. The timing of these announcements is too perfect for it to be anything else, isn't it? Best book the Le Man tickets. It's going to be a humdinger. Webber in a Porsche and Button in an Audi?